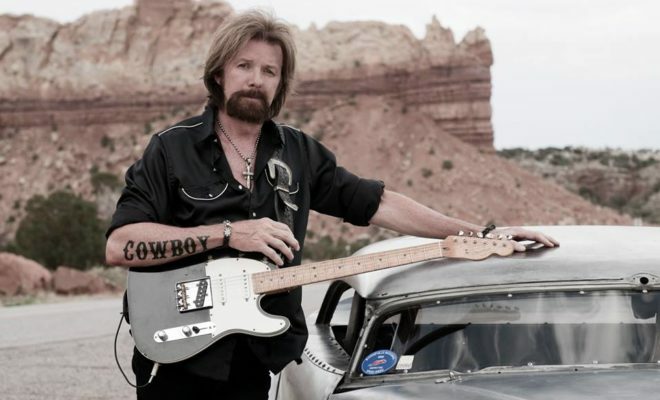 Ronnie Dunn, American country music singer, and one-half of the former iconic duo Brooks & Dunn was born in Coleman, Texas in 1953. He finished his formal education at Abilene Christian University as a psychology major and began singing and playing bass guitar with different bands in Abilene. Ultimately, the school gave him the choice of quitting their institution or the bands he was playing with, and he chose to leave school to move to Tulsa, OK, for the chance to go big in the country music scene. Now a singer-songwriter and record executive, Dunn began his solo career in 2011 following the breakup of the popular act that he and singer Kix Brooks had made together. In 2013, Dunn established Little Will-E Records, and in 2014, he released his second solo album under this label. He reunited with Brooks in 2015 for a successful Las Vegas show featuring Reba McEntire, and in 2016 the pair went back into the studio to record the single entitled “Damn Drunk,” which was released in the fall of last year. Shared on his VEVO YouTube Channel, “Damn Drunk” features Dunn on lead vocals and Brooks adding harmony. The song was written by Liz Hengber, Ben Stennis, and Alex Kline, and was the first release from Dunn’s latest album, “Tattooed Heart.” Also featuring a reunion with Reba, Dunn is scoring major points on the country music scene, performing their duet entitled “Still Feels Like Mexico.” This long, tall Texan has a way with words, and song, and together they help him speak his fans’ language!